A little while ago, Henry South very kindly took a few snaps of various models of mine and I’m now showing them off here. In this first collection are a few of the elements that make up my Death Guard Chaos Space Marine force. I’ve got about 4,000 points of Grandfather Nurgle’s favourite sons so these are just the highlights. The Big Man on Terminus (Est), Typhus is a beast on the boards and the model is easily my favourite of the Chaos Space Marines characters. This is the old metal mini and it weighs a ton. I’ve been toying with the idea of buying the Finecast version, not only to make my carry-cases lighter, but also to see how far my painting has come on in the year since I painted this one. 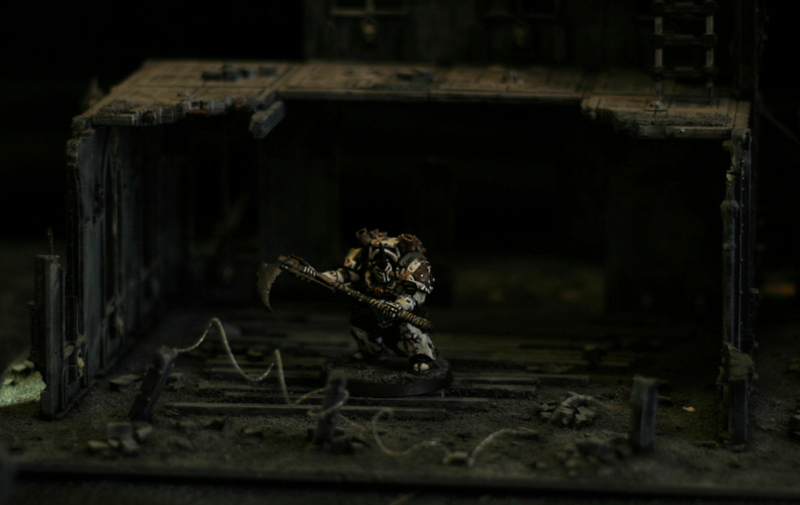 Forge World’s conversion kit is brilliant and it was a joy to paint. 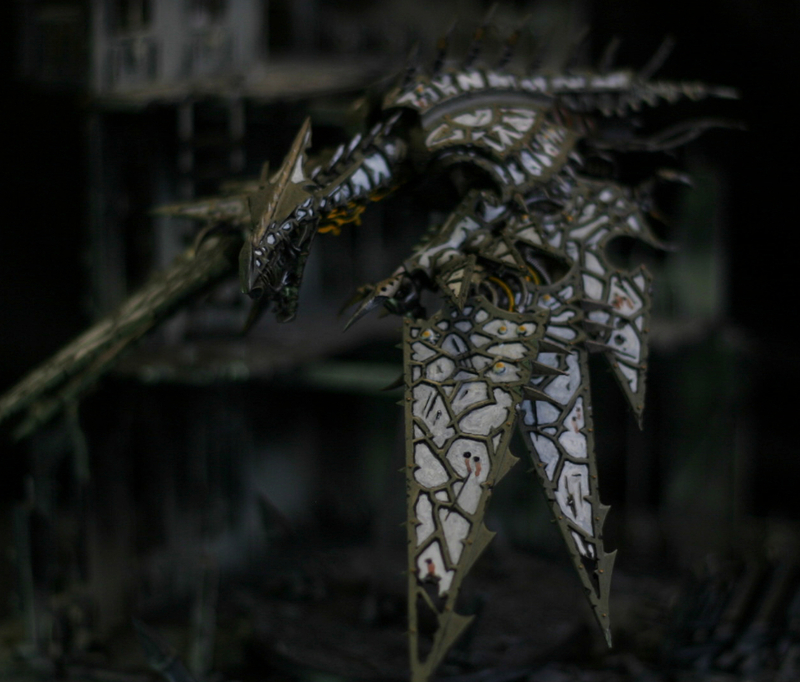 Lots of little details all over the place and very Nurgly (Nurglish? 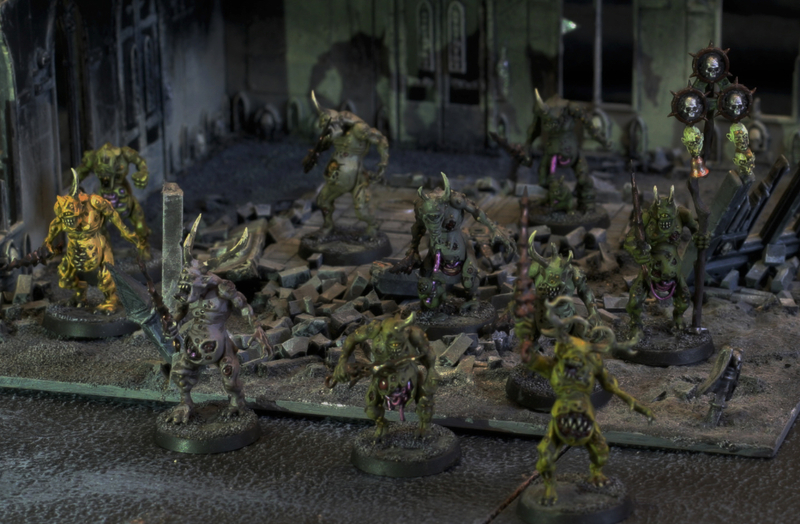 Nurglesque?). 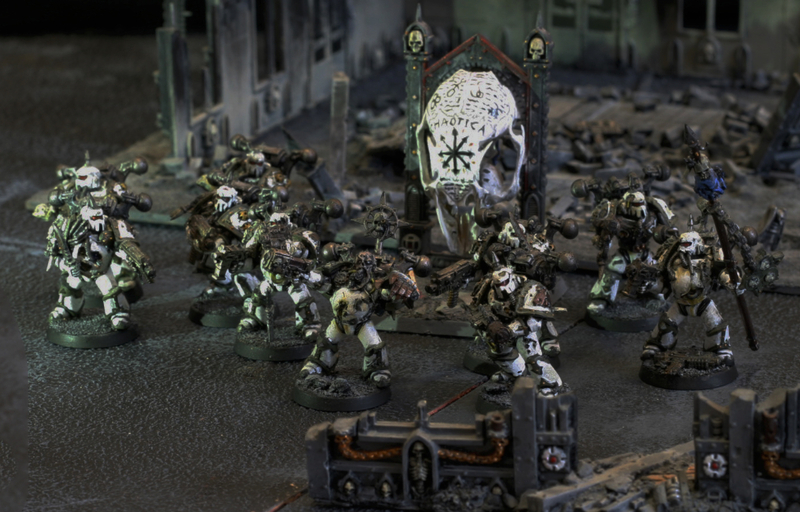 These guys take the Nurgle Banner in the Codex, two meltas and the champion takes Melta bombs too, so they have very few problems beating up heavy armour and their extra slice of the toughness pie means they last longer than most. Well, there had to be a Helturkey, didn’t there? I modelled him with the cannon, but, yes, I often take the flamer because, well, why wouldn’t you. It was fun carving out the tips of the wings but it took ages to paint and I was pretty sick of the sight of it after not too long. Has made the difference in many a game though, so can’t complain. 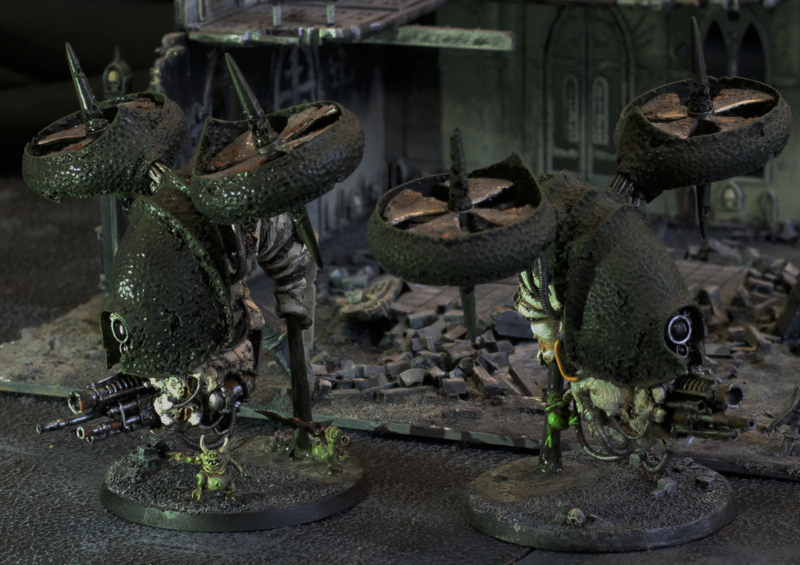 The rest of the airborne element of this army is comprised of these two Blight Drones. The model looks amazing (another bit of praise for FW there) but it’s a bit of a pain to put together without leaving gaps. You need to do a fair bit of shaving to get everything matched up neatly, but it’s worth it. Oh, and doing the slime coming out of the tail is a real pain so if you go that route (it does look so much better than the little flying stand) you need plenty of patience. I really enjoyed painting these. Each one uses different shades of different colours and I felt suitably ill afterwards. They’re a great ally too, materialising where I need them most to really freak out the opposition forces and use those lovely poisoned blades to cause some real problems. Hopefully I’ll get a chance to picture the rest of the force one day, but for now, these’ll have to do. Onwards!